Whether in training, operations, troubleshooting or maintenance, when an employee needs instructions for complicated machinery or equipment they need it easy to understand and immediately accessible. 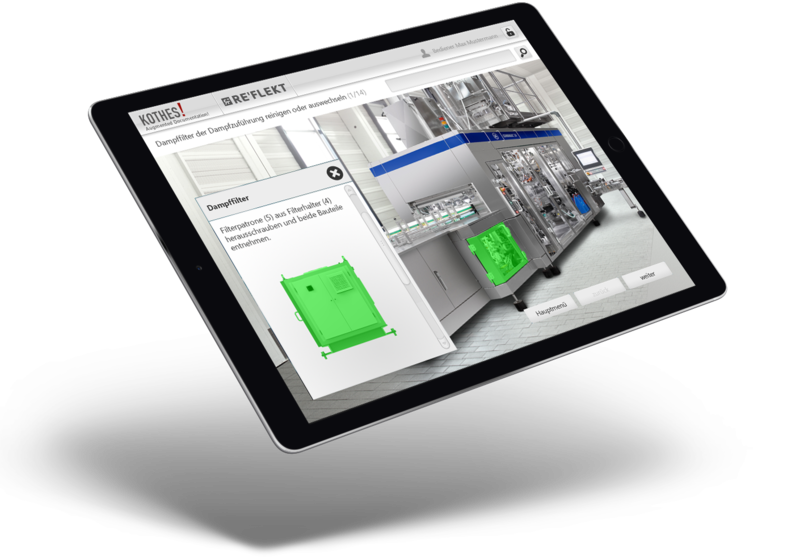 KOTHES wanted to address this by virtually enhancing their existing manual with Augmented Reality. 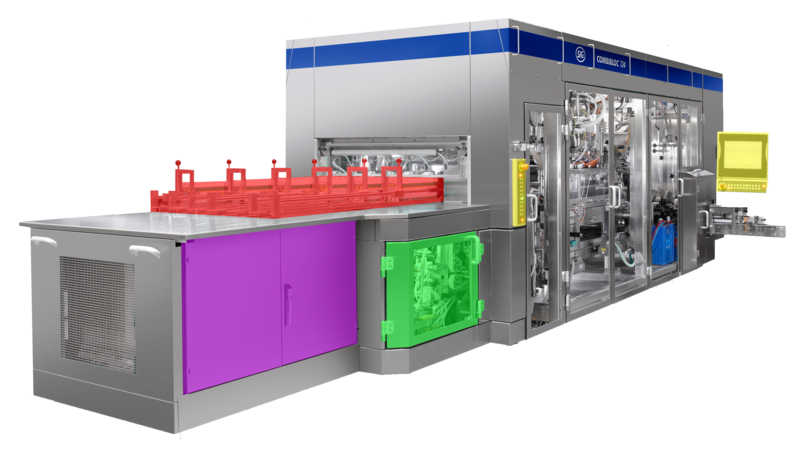 Specifically, the SIG Combibloc company wanted to project technical content directly onto a machine clearly explaining what the employee was looking at or supposed to do. The information should be color coded, clearly arranged and interactively linked. Furthermore, it should be possible to create and adapt the content directly from the content management system without any programming. In close colla­bo­ra­tion, RE’FLEKT, Kothes! and DOCUFY have created an intui­tive, mobile and easy to navi­gate user manual for opera­tion, repair, and main­ten­ance. By inte­gra­ting the REFLEKT ONE AR plat­form to the COSIMA go! 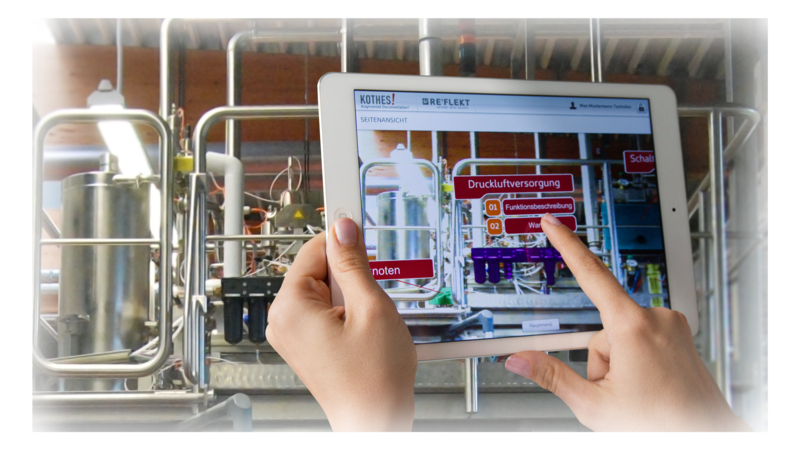 and Topic­Pilot edito­rial tools, compa­nies are now able to easily enhance exis­ting manuals and inst­ruc­tions with augmented reality. The Kothes! docu­men­ta­tion specia­lists can now profit from a seam­less inte­gra­tion and intui­tive use of the manual. How does it work? The employee simply points the tablet at a machine’s barcode to identify the machine and the virtual guide immediately appears. The manual is context sensitive with its images structured to scale using color coded, clearly arranged and linked interactive content.